It was just the right thing to do....now essentially quesadillas are toasted sandwiches made using flour tortiallas stuffed with the most amazing filling and cheeses. 3) Add the jalapeno peppers and the tomato and tobasco sauce. 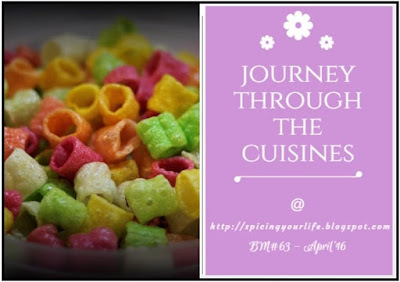 Season with salt and red chilly powder. 4) Now on a baking sheet lay 2 tortillas. 6) Cover with the remaining 2 tortillas. 7) Bake this for 10-15 min at 170c. Do not wait for the tortillas to be too crisp. Serve with tomato salsa or sour curd. Oh, I am disappointed Pradnya.. I was expecting an Indian name something in the lines of roti sandwich.. pun intended.. :) I love quesadillas and always order it when we eat out. I also like the versatility of the stuffing than can be used. Yummy!! Looks yum ! It's a fav back here ..
wonderful. I just thought of quesdillas too but I am doing TN cuisine so had to drop that and went with quinoa. Great share. Nice pick for Q, Pradnya. This sandwich is surely a filling meal with all the veggies and cheese..
Oh ok so this is the reason..:)..however I will say no..cos I was all purpose flour only!..hhahaah..good ones..
Love your veggie loaded version of quesadillas. My all time favourite quesadillas, love it to the core. I make quesadilla at least once a week -- it's my son's favorite and also so easy to make and delicious. The filing can be changed up too. Quesadillas are our family favorite. We enjoy an array of quesadilla fillings for dinner so often. Loved your version!! It is the best choice for Q for sure!! 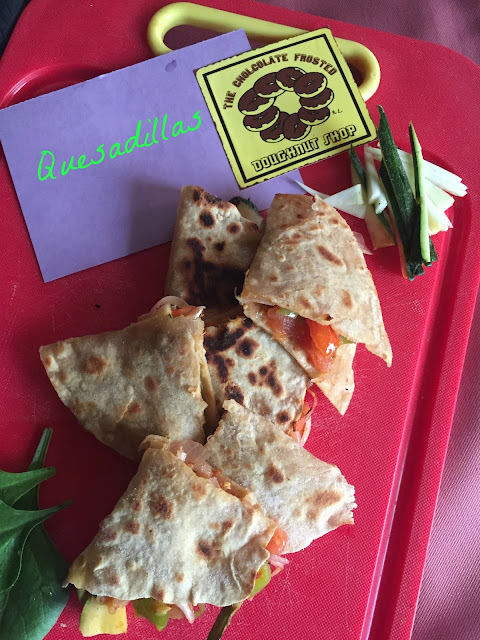 Quesdilla are family favorite.Looks delicious with that filling.